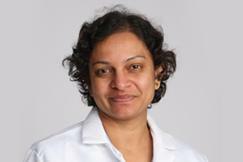 Rashmi Tomar, MD is a board certified endocrinologist. She graduated from the Internal Medicine and Endocrinology fellowship program from the State University of New York at Buffalo, NY. She then worked as an Assistant Professor of Endocrinology at Buffalo, NY. On moving to North Carolina, she joined Johnston Health as the staff Endocrinologist. In 2010, she started her own practice in Clayton, NC. She has extensive training and experience in diabetes management and provides the best diabetes care possible. She also performs in-office thyroid ultrasounds, biopsies, and treatment of thyroid disorders and cancers. Additionally, she has expertise in other areas of endocrinology with hormonal and metabolic disorders. She has published many articles in reputed journals. She is a member of The Endocrine Society, American Association of Clinical Endocrinologists, and the Carolina Chapter of American Association of Clinical Endocrinologists. She is married to Dr. Sanjay Tomar, and they have two daughters. She enjoys reading and cooking in her free time. 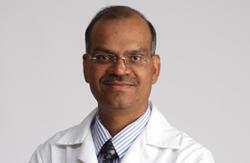 Sanjay Tomar, MD is a board certified dermatologist. He began his medical career with an M.D. degree in Dermatology, Venereology, and Leprology which he received in India in 1994. After moving to the United States, he completed an Internal Medicine residency and practiced Internal Medicine for a few years before further pursuing his career in dermatology. He then earned his M.D. Dermatology training from the State University of New York at Buffalo, NY in 2008. He was the chief resident during both medicine and dermatology training. His training at Roswell Cancer Park in Buffalo, NY has given him extensive experience in treating skin cancers of many different kinds. He also received extensive training in pediatric dermatology at the Childrens Hospital in Buffalo, NY. He is an expert in this area with many years experience in treating skin disease in all ages. He is a member of the American Academy of Dermatology, American Society of Dermatological Surgery, American Society of MOHS Surgery, American Society of Laser Medicine and Surgery, NC Dermatology Association, NC Medical Society, and Johnston County Medical Society. He is married to Dr. Rashmi Tomar and his hobbies include music, sports, and playing the Lap Steel guitar. Jessica Wagoner, MHS, PA-C completed her Master's Degree in Physician Assistant Studies from Duke University, where she graduated with honors and earned a degree in Masters of Health Sciences. She was also a member of Pi Alpha, the American Physician Assistant honors society. She received her undergraduate degree from the University of Missouri, majoring in Biochemistry with a minor in Psychology, and graduating with University Honors. She is also now a Clinical Preceptor for the Duke Physician Assistant Program. In her free time, she enjoys running, gardening, and spending time with her husband and dog. 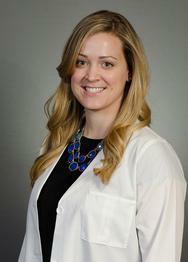 She joined Carolina Dermatology and Endocrinology in 2013 and works with Dr. Sanjay Tomar.